Here at Express PC we provide Fast & Reliable computer repair & IT support services in Grand Rapids, Michigan. SCAM NOTICE: It has come to our attention that there is a company with a similar name that is soliciting customers through the phone offering services to repair your computer via remote access. (remote access is when a computer is accessed remotely through the internet) We do not solicit at any time customers through the phone nor do we offer remote services of this nature. If you have been contacted in this manner, it is a Scam. Custom Skins: Express PC is happy to announce custom skins by RHINO HYDE/C2 Skins. Customize your laptop, Apple iphone, ipad with custom colors and graphics by RHINO HYDE/C2 Skins. Express PC latest project: Express PC teams up with local MMORPG online game owner Norseman Games for support and development of their gaming website The Realm Online. The Realm Online: the First MMORPG game created now celebrating their 16th year located in Grand Rapids, MI. 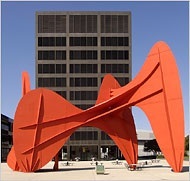 Express PC is in partnership with Ampertek to extended services to Businesses surrounding the greater Grand Rapids, Michigan Area. This will enable us better serve our customers. Who We Are, our goal is to provide the local Grand Rapids Michigan community with inexpensive, reliable products and services that cater to the average consumer. Here you will find one-on-one personal assistance to answer all of your computer related questions. Computer Repair & Upgrades: We provide FAST & RELIABLE computer repair, and computer support & IT services in Grand Rapids Michigan. We offer support & maintenance services tailored to the computing needs of businesses and home owners. We will fix or repair your computer at your place of business or home. Or you may choose to drop off your computer at our store. We specialize in Virus removal, Desktop & Laptop repair, Data Recovery, Full Sytem Backup & Restore, Programming, Networking, DC Jack repair, Apple Iphone screen repair. NOTICE: It has come to our attention that there is a company with a similar name that is soliciting customers through the phone offering services to repair your computer via remote access. (remote access is when a computer is accessed remotely through the internet) We do not solicit at any time customers through the phone nor do we offer remote services of this nature. If you have been contacted in this manner, it is a Scam. XBOX AND SONY PLAYSTATION REPAIR AND UPGRADES: We are now adding repair services for Xbox and Sony Playstations. The Xbox 360 is a wonderful game console, but the one thing that scares gamers to death about the Xbox 360, is the red ring of death. Those 3 little flashing red lights have caused a lot of headaches to gamers around the world. Most experts estimate that the red ring of death will strike 1 out of 3 consoles, that would be roughly 33% failure rate. Both numbers are to high in our opinion, after all you have spend anywhere from $200-$499 to buy your Xbox 360. As for the Sony Playstation it is estimated lower at about 1 out of 10 or 10% of Playstations are affected. If you are experiencing this or have any other issues, we can fix it! New and Used PC's: Here at Express PC, we provide both new and used computers at discount prices. Purchasing used pc's allows you to save money and still own a quality computer without paying a premium price. 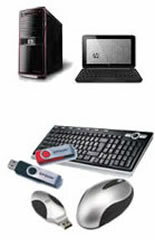 We offer a full range of sales & support on popular brands such as Sony, Dell, Asus, IBM, HP, Acer, Gateway, Toshiba.